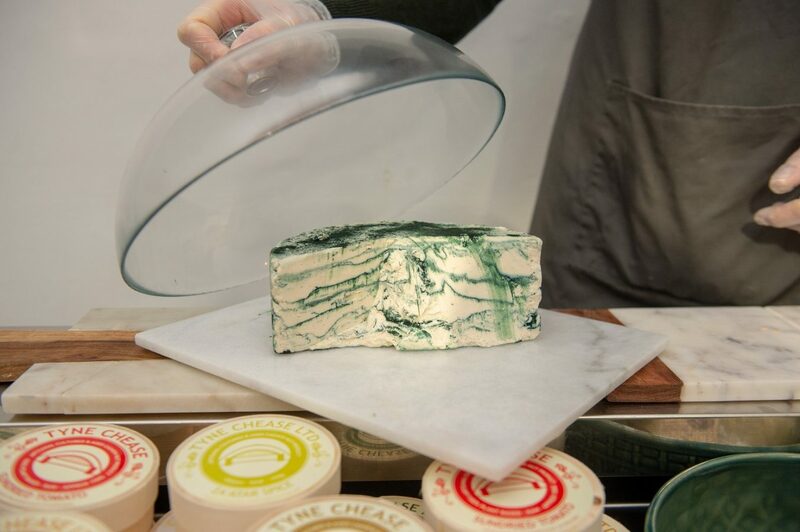 Britain’s first fully vegan cheese monger has opened up for business on Brixton’s famed market row. 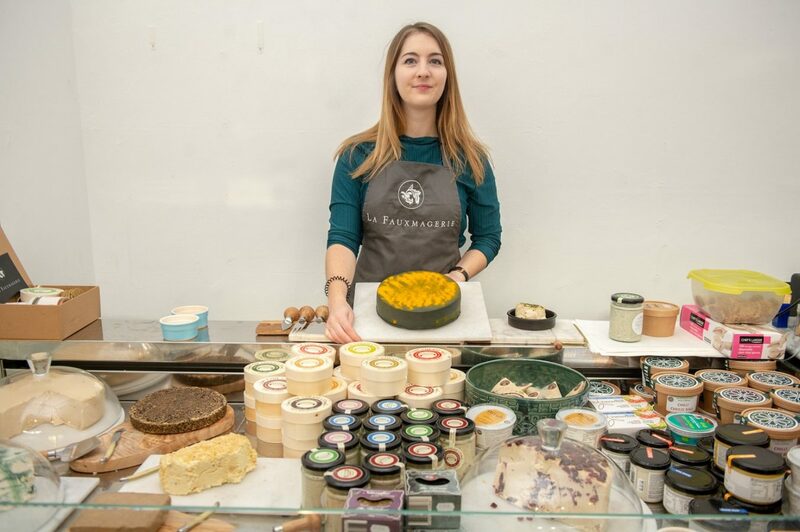 Rubbing shoulders with Champagne + Fromage the artisan shop will supply ‘cheeses’ made entirely from plant-based sources. 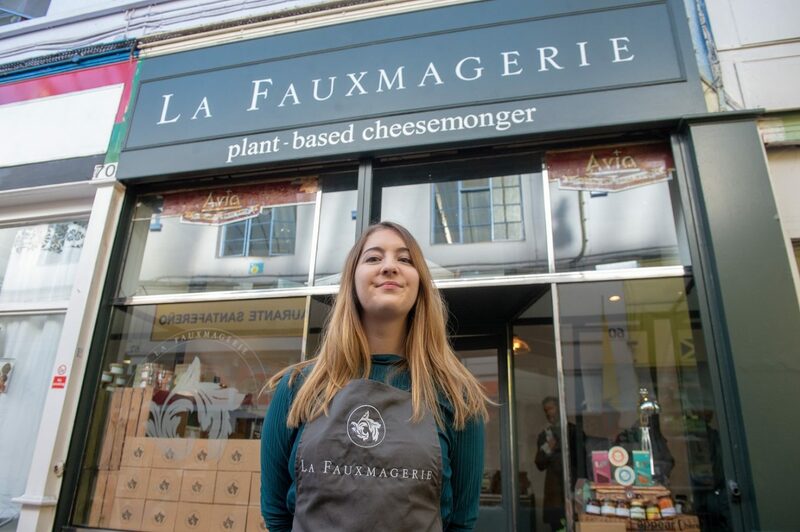 Sisters Rachel and Charlotte Stevens founded La Fauxmagerie with vegans travelling far and wide to check out the new award-winning dairy free cheddar, camembert, mozzarella and halloumi on offer. But the independent business in the Brixton Village complex has “ruffled feathers” in the dairy industry. 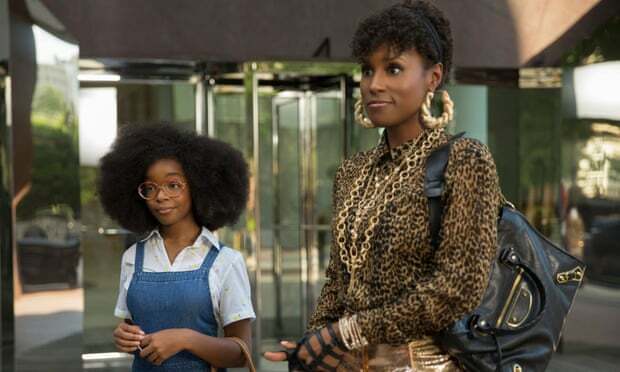 The industry’s trade association, Dairy UK, has accused the sisters of misleading customers by labelling vegan goods as ‘cheese’, accusations Rachel says “discredits and underestimates the intelligence” of their customers. She said: “It’s clear in the name of our business that we are selling dairy free products – it’s a pun. “Our tagline also clearly states we are a ‘plant based cheese monger’. “We are not misleading and the claim that we are discredits the consumers and underestimates the intelligence of our customers. “It all seems a little unnecessary, people are generally aware that plant based means non-dairy. “Peanut butter doesn’t include butter and when people ask for a soy latte at Costa, they ask for soya milk – not blended soya beans. “We’ve not highlighted the nutritional value of our cheeses or compared it to others. 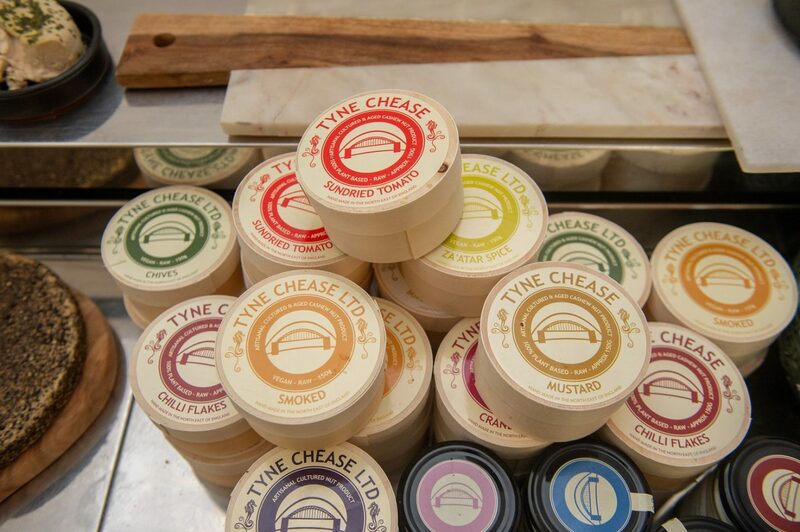 The former Marks and Spencer merchandise worker said: “We just thought we were opening a little dairy free cheese shop, which is what we understood a lot of people wanted. “We expected some attention because we knew we’d be the first in the country, but we didn’t expect to ruffle feathers. “Dairy UK sent a letter to the shop. “We are going to take things as they come. “It’s not overshadowed anything, we’re still having a great time and we’ve had incredible support from customers and the vegan community. “I understand people might be sceptical because the food culture in the UK is very meat heavy. “I only became fully vegan this year and my childhood favourite use to be my gran’s corn beef pie so I completely understand. “If people are sceptical, then they should come into the shop and try it out for themselves. “We make a point on our website to say we’re not pressuring people and a lot of meat eaters come into the shop to try samples and they love them. Rachel who moved to Balham, south London, four years ago only became a fully fledged vegan last month. But she and her lactose intolerant sister began plans to open their own dairy free business last autumn. Rachel said: “I’ve dabbled in veganism for a while because I wanted to minimise the amount of cruelty caused as possible. “My sister has always been lactose intolerant and we started going to vegan festivals which introduced us to lots of great vegan brands. “Cheese was the main focus for us because that’s the thing people miss most when they go dairy free. 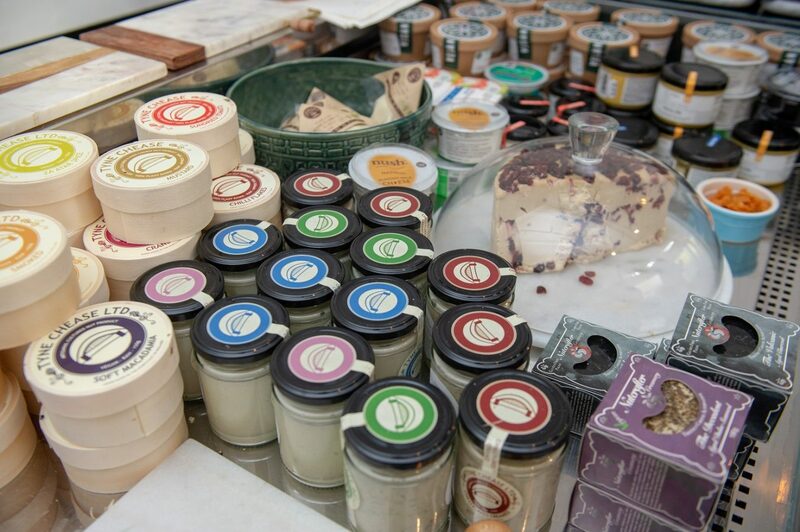 “After a bit of research we realised there’s not one single place where you can buy the best dairy free cheese brands. “We wanted it to be easy and accessible so contacted our favourite brands to ask if they’d consider stocking their produce and we got really good feedback. She added: “Brixton is a great place because it’s so colourful and vibrant so we’re very happy with our location. “We’ve seen a huge surge in Instagram following and we’ve just launch our ‘Ode to the Sea’ gift box which includes lemon and dill cheeses, an alternative to salmon and crackers. Dairy UK has been contacted for comment.